iPhone and iPod touch software, games, toys, calculators and web applications by Kudit: Do you need utmost security? Do you need utmost security? Kudit is proud to announce the Finger Scan toy. Impress your friends with how cool the iPhone is with your very own fingerprint authentication system. 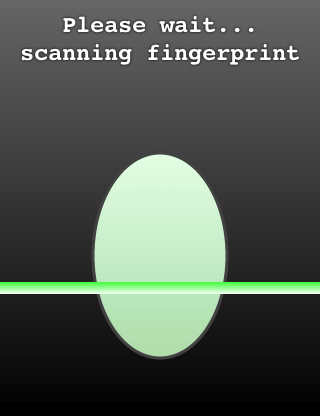 This is a simulation of a fingerprint scanner and for amusement purposes only.